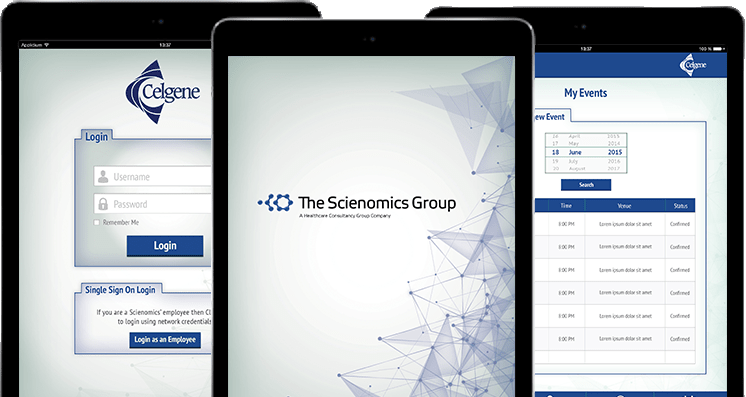 Scienomics Group is a leading multinational healthcare and pharmaceutical research company with offices in the US, Europe & Asia. They required a mobility solution that schedule and track events for healthcare workers and helped sales professional research client’s product and services. 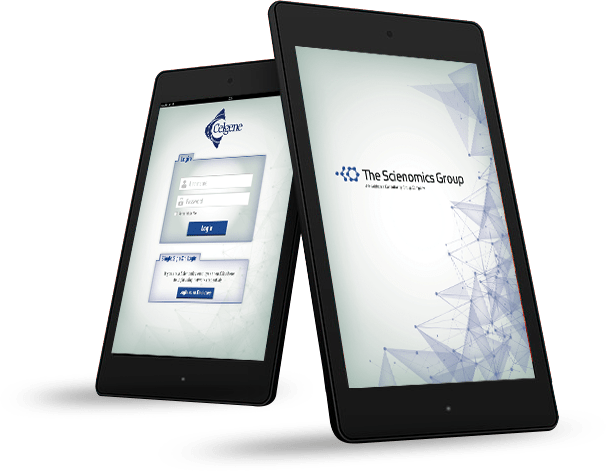 Among the multiple objectives, Scienomics Group came to App Maisters with one very precise aim was to develop a reliable, cost effective, and time sensitive solution. This solution was to be utilized by their staff & clients’ sales professionals. It was also to be used in market and research work of their clients’ products and services. The high-quality mobility solution being developed was to allow sales practitioners to create, maintain and schedule programs for physicians, speakers and other healthcare workers at various venues. Furthermore, it had to keep a record of attendance/registration for all upcoming events. Analyzing client requirements and objectives was the task at hand next. Our project managers had meetings with the Scienomics’ team. We came to a mutual agreement regarding development of a viable solution, which would meet all their business needs. Our talented Maisters brainstormed and helped them land on a backend architecture that would minimize their labor. We designed wireframes best fitting their expectations, alongside handing their project to our exceptionally skilled development team. During the App Development phase, our experts developed and integrated an event and attendee registration scheduling system. We designed an efficient sign-in process for the iPad during the registration activity. We also ensured that e-signatures were embedded. This way it used less I/O resources on the iPad, while still maintaining an offline transaction database. Lastly, we activated a form-based login on their app. Throughout this whole project, we offered them a solution fully compliant with two things—their requirements, and the HIPPA guidelines. The final results we handed over to Scienomics made them thoroughly satisfied with our services. The outcome of the app we developed were very successful. The mobility solution proved to be extremely useful for their overall company sales, supervisors and partner firms. The app also allowed their sales reps to gear up, schedule & register event attendees. It also helped in reducing data inconsistencies. Team App Maisters helped Scienomics Group to focus all their sales and marketing effort on actual researches and marketing, rather than keeping up with the hassle of paper works relating to events, upcoming dates and registration. Hand Your Projects to Our App Maisters Today! In the past years, App Maisters proved itself to be the number one choice of Startups and growing Enterprises. Our collective goal is to continue surprising our clients with our in-depth knowledge and expertise. We understand each company belongs to a different industry, and hence their business needs differ respectively. Check out the various digital solutions and services we are offering to streamline your work process and productivity.